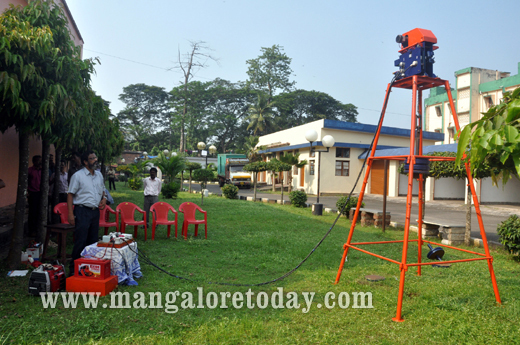 Mangaluru,Oct 28, 2016: Monitoring and conservation of environment is of profound significance now, scientific study using explosives is also prohibited. Alternative methods are on the cards, a recent one is ‘Seismic Signal Source’ or free falling weight drop system, an indigenous equipment to study lithology (below the ground) that is beneficial for building construction. 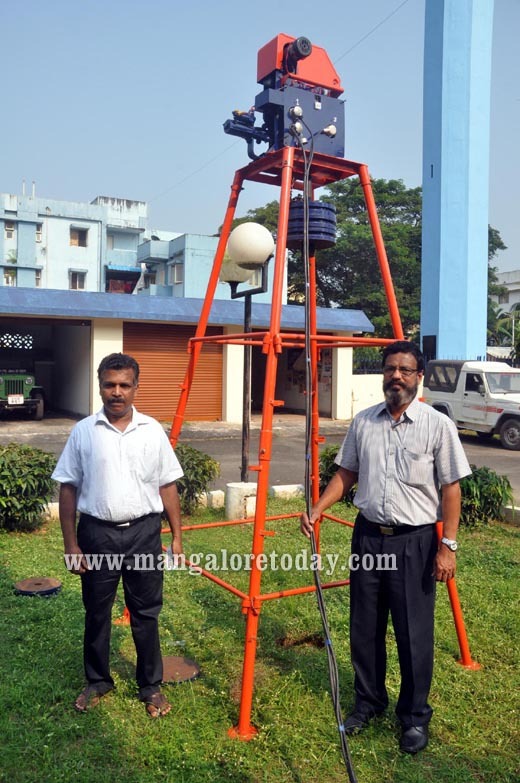 M Balakrishnan, director, GSI, Geo-physics, Geological Survey of India, Mangaluru, has designed the equipment, along with technical assistant Anil Kumar PV . Interestingly, Balakrishnan is nearing his superannuation and the particular device can be termed as his ‘parting gift’. He is also planning to patent the same at both national and international level. He claimed that, it is also environment-friendly as it neither produces noise nor jerks (due to shock dilating technique), but registers noise-free data, unlike explosives used earlier. It is also easy to transport and detach and assemble. It comes in handy, before taking up any construction activities, to assess the strength of the soil, clay and other sources beneath the surface. Balakrishnan said, while 24 channel geo-phones were purchased from the US, the pre-designing was conducted at Nagpur. The field trial was conducted at Chitteri in Kasargod, Kerala, where a bridge is being built. Earlier, whenever such studies were conducted, explosives were used for the purpose. A vacant site away from human habitation was to be identified and a hole drilled till five to 10 metres below the ground to put the explosives. They not just blasted with a huge sound, but also caused jerk, sometimes leading to cracks on any buildings nearby. Taking all these factors into cognisance, since 2007, alternative methods are being deployed and studies done.